The works included the construction of two free-standing buildings, the relocation and installation of a number of services and associated landscaping. The new Homebase building consists of four classrooms with wash up and storage facilities. 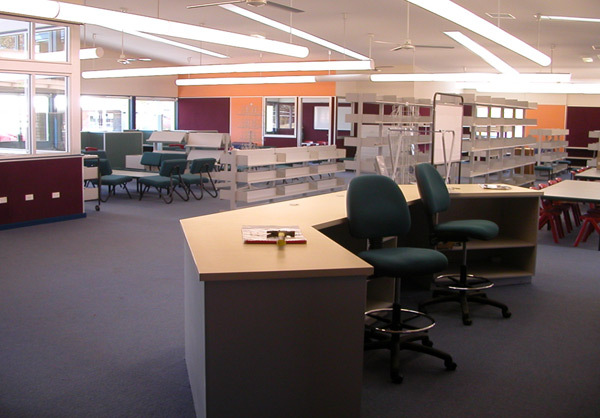 The Library includes a computer room, offices, storage and workroom. Use of waffle pod slab in lieu of conventional raft slab and the redesign of landscaping and battering levels to minimise drops of 300 cm and over, resulting in hand railing required. 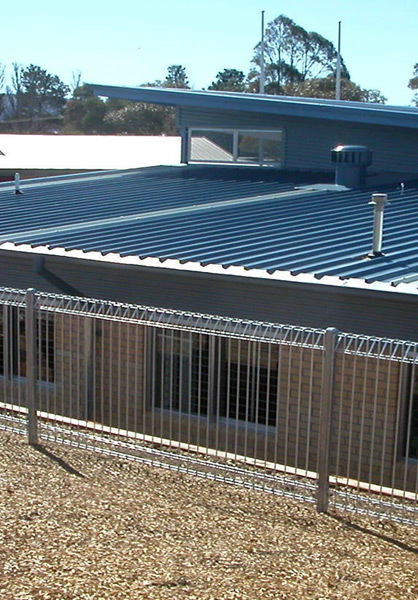 Winner of the 2004 MBA Award for Excellence in the category of Commercial Building less than $2 million.